Everybody over 40 in Ireland knows the Blue Nun. Not just in Ireland, but in the U.K. and in the USA too. She was phenomenally successful especially in the 1980s. The slim, sleek bottle of German white wine was a safe present to bring along to almost any occasion. In many off licenses, it was, in fact, the only choice of white wine, at least in Dublin. The Red Nuns in Dublin’s Drumcondra are an enclosed comtemplative order with a long history in the neighbourhood. One of the thing they do, in addition to praying, is making personalised candles. 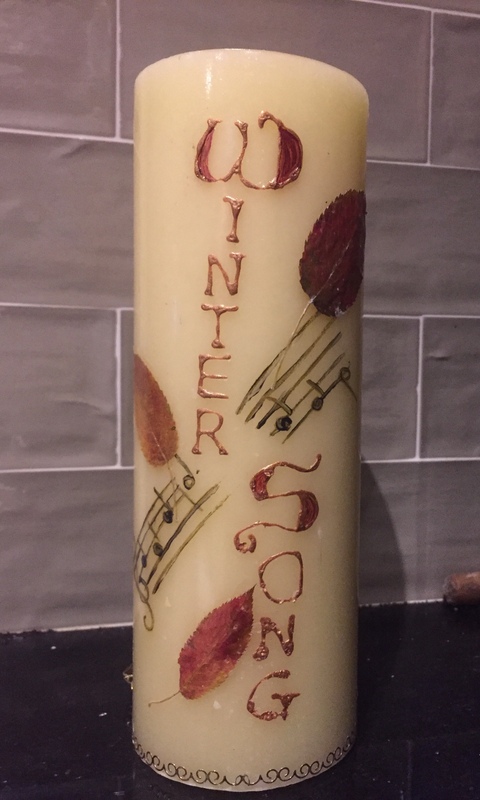 They made one for last night’s event, Wintersong by Candlelight. And Pádraig will be able to keep their candle alight during the long winter nights.